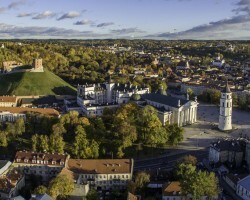 Within a month, on August 23rd 8th Baltic Chain Tour starts from Tallinn. 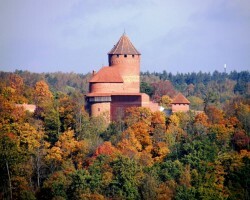 Successor to once Baltic Tour was restarted in 2011 as a UCI calendar event. This year the tour is held as UCI 2.2 race with slightly more stronger riders than earlier times. Lithuanian National Teams puts on the start line well-known names like 2015 world championship pronze Ramunas Navardauskas (Bahrein-Merida), 2009 Giro d’Italia stage winner Ignatas Konovalovas (Groupama-FDJ) and accknowledged domestique in world tour Gediminas Bagdonas (Ag2r La Mondiale). Lithuanian rider won BCT last time 6 years ago, meaning they have seriously taken the win onto their radar screen. 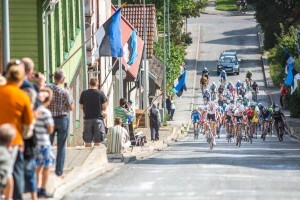 Estonians won the last time in 2011, when the standings were turned upside down on the last stage. 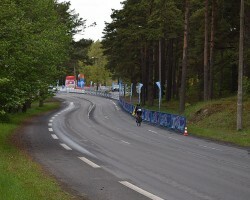 With pouring rain around the city of Viljandi Erki Pütsep rose to the top from 10th place. 2013 Mihkel Räim managed a stage win, year before he grabed the polka dot jersey. With 100 years anniversary of Estonian Republic it is time for action ! “It is clearly a subtle dream for every race organizer for local guys to perform as well as possible. It would attract more spectators and with home support it wpuld easier for riders to chase valuable UCI points. It is those points that count when invitations to title-events are handed out”, says BCT promoter Allar Tõnissaar. Number of national and amateuer teams finish the line-up. Overall prize pot as per UCI regulations is 6355 euros, out of which overall winner takes 964 euros.